Happy New Year!!! I don't know about you but I am overly excited about the new year and what it will bring. 2015 was a trying year for many but you can breathe now because YOU MADE IT!!! You made it through difficulty, uncertainty, hardship, and disappointment and today I celebrate your survival! I know for a fact that all that you have experienced was purposeful and you are better because of it. I am more into affirmations than resolutions so my declaration for 2016 is that it is the year of NO LIMITATIONS and ENDLESS POSSIBILITIES. The Lord said to me in prayer that this year is literally pregnant with possibilities. That means it can be whatever we want it to be. The thing is we can't just want it to happen, but we have to make it happen! 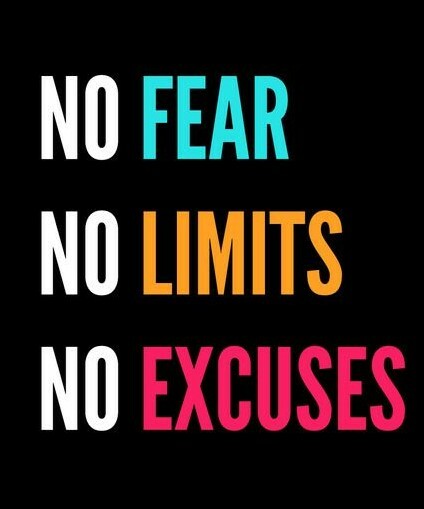 We can't allow fear to limit us like in years past. We must have all faith and no fear!!! My prayer: Dear God, thank you for another year. I pray that you would give me the faith, wisdom, and passion that I need to make the most out of this new year. I declare that the possibilities are endless for me and those connected to me. I declare that my faith will come alive this year. I declare that I will move beyond dreaming and into manifestation. God, get the glory out of my life this year and every year thereafter. Bless me that I may be a blessing to others. I pray this in the name of Jesus. Amen!